About Advanced Aire Flow Inc.
Advanced Aire Flow is a family owned business that guarantees it's work. Rolando Juarez has been in the trade for over 10 years and in those 10 years has learned a thing or two about HVAC. He brings his knowledge and expertise to a business venture that he started two years ago and “keeping you cool and warm” is the goal of his business. We strive to treat our customers like family and we work on your home or office with the care that we would exercise in our own homes. Why Choos Advanced Aire Flow Inc.
One of the guarantees that we hold most dear is that you know you are in trusted hands. Advanced Aire Flow is completely licensed and bonded. It is extremely important that you deal with licensed and bonded businesses. It is for your protection. We have our EPA certification issued by the federal government through section 608 of the federal codes, requiring all persons who work with refrigerants to be certified. We are proud to give out friends in the Military, a discount on all work and installations. Out of respect, we give the same discounts to senior citizens. 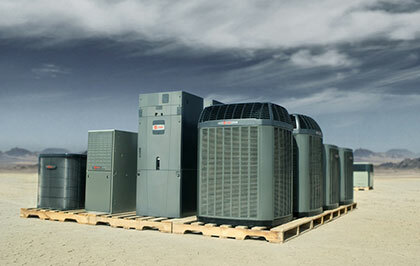 We honor a one year warranty on all new systems plus the manufacturers warranty. You can trade in your old furnace with credit of $300 towards a newer more efficient model and you can receive a $400 credit when you add an air conditioning system to your existing heating system in your home or place of business. The service region for Advanced Air Flow includes all of Ventura county and the surrounding areas and we are here to give you premier service. After all, that is what you as a customer deserves and we as a business promise.